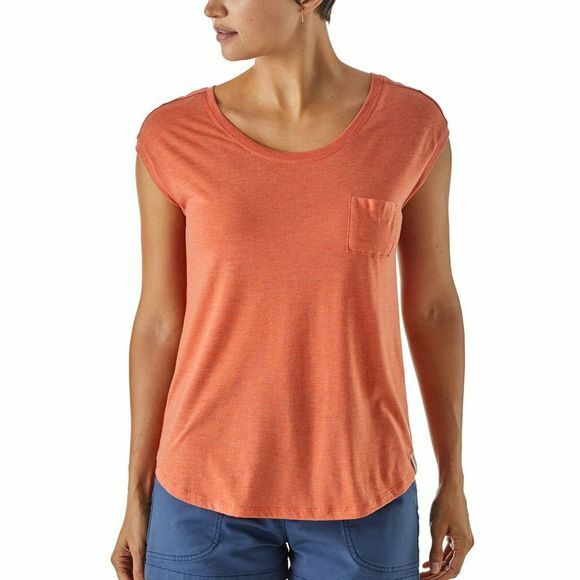 The Women's Blythewood Tee from Patagonia is a lightweight t-shirt made from a blend of fabrics which elegantly drapes over hot skin. Equally useful for layering or wearing on its own with smart jeans or trousers, the t-shirt hemline sits at hip length and combines with a modest scoop neck, princess seams and capped sleeves for a casual vibe. 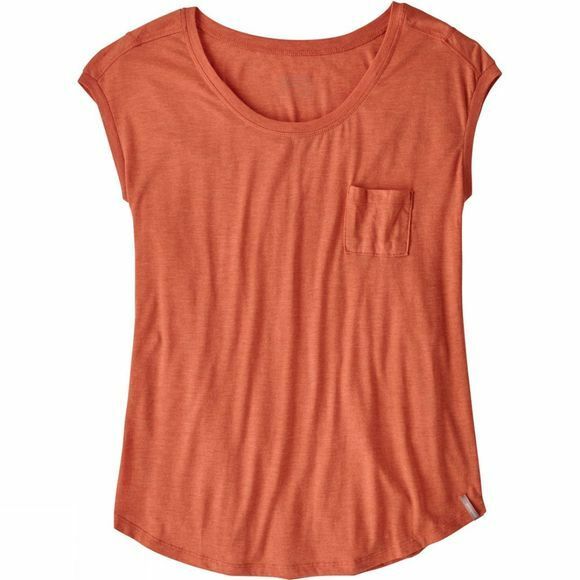 The subtle drop-in chest pocket is perfect for holding a pen or loose change as required.